First off why? Why would anyone want to run commute? For me the answer is quite simple; time management. I know the idea of running to work or school and then back home again might not sound like your thing but hear me out. By run commuting you can really get some much wanted miles in. Run commuting is a “double day” because you are running twice. Most of us are limited on time. If you are like me and have a full time job, wife and three kids you have probably contemplated quitting running all together because it feels so selfish. Run commuting allows you to save a lot of time and still get the miles you need to feel trained. You will also save time by not spending time driving somewhere to run, meeting others, etc. You will also overlap the time you would be commuting with the time you are running. Yes, logistically running to work or school can be tricky at first but once you get it figured out you will hone in your packing/pre-packing tricks and techniques. For me the solution was finding a good backpack to carry my work clothes, packed lunch and running jacket. I used the Salomon S-Lab Peak 20 as it has a larger volume than a running vest but fits like a running vest. Other brands like Ultimate Direction also make similar packs. The S-Lab Peak 20 is great because it adjusts on the bottom of the pack to the waist, on the top to the shoulders and then a zig-zagged side sinch that pulls the pack close to your back. 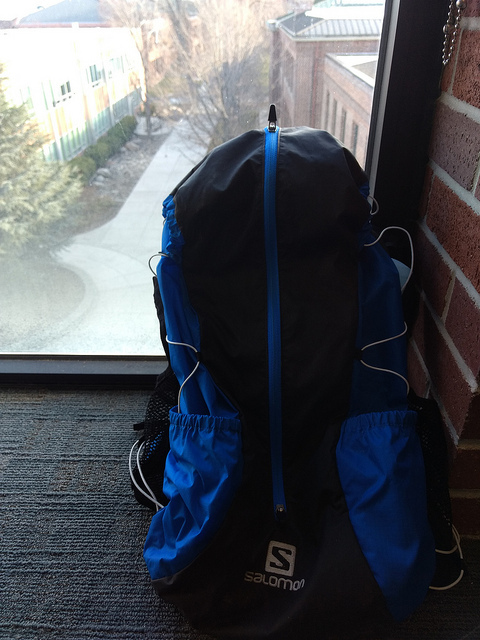 This is great because it reduces the dreaded back and forth swing of running with a backpack. The second order of interest would be showing up to work or school clean and showered. Luckily for me I work at a University and I have access to the showers in the fitness locker room. I simply shower, put on my work clothes and stroll into the office. I then reverse the process (minus the shower) when leaving work. This really depends on the route you take to get to work from your residence. I am extremely lucky in that I live in Reno Nevada right next to National Forest land that butts up next to my backyard and then almost right next to the University. 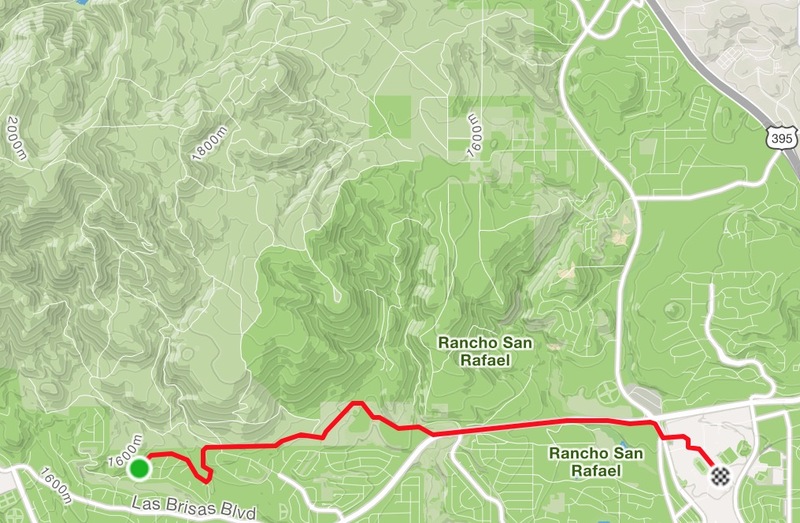 I have access to over 50 miles of trails right next to my 4 mile straight shot commute. So, if I have time I can simply shoot out into the hills and add bonus miles on endless singletrack between my house and work. If you live in a city you may want to get inspiration from Ricky Gates and try exploring more, or “every single street” in your city. You may find backroads or alleys that you never knew existed. I also find that run commuting, just like regular commuting is a great time to catch up on podcasts, news or listen to the music. When training you generally want to look at most runs as having a purpose (hills, intervals, long-run) but these commutes can simply be enjoyable miles. I take them slow and even run them in New Balance Minimus 10v1 shoes that I just picked up at the Reno Running Company. For me pace is such that it is great to focus on running efficiently and relaxed. So give it a shot! I think you will find it is a great tool in not only your training, but also to save time.